The first use of the designation 'SS' for a model was in 1931 with the introduction of the S.S.I/II by the Swallow Coachbuilding Company. The rakish lines introduced by William Lyons for the S.S.I were something new and at the low price asked, public appeal was instant. SS Cars Ltd itself was not formed until late 1933 but on Early Cats we are covering any model with SS in the description prior to that. The first S.S.1 was built on a custom Standard chassis (only available to Swallow and based on the 16HP Ensign) with options of 2054 or 2552cc engines. Its smaller brother, the S.S.II had a 1006cc engine but at only just over £300, the S.S.I was a success with the public. 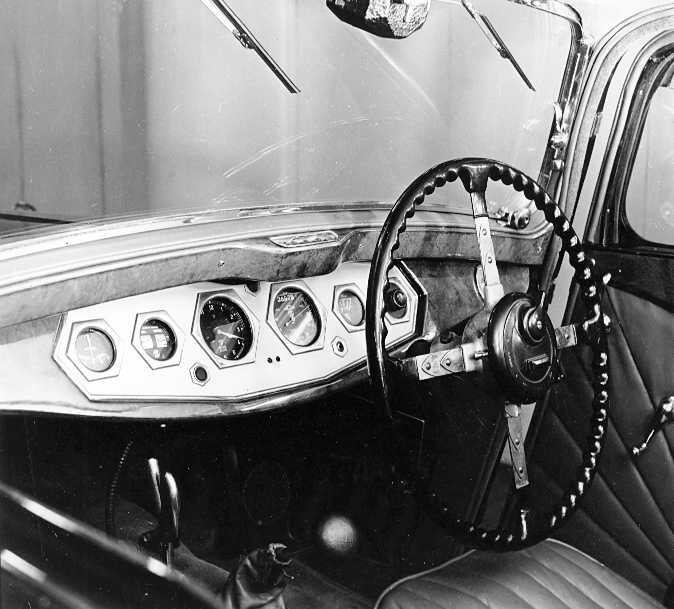 Occupants were, of course, cosseted with fine instruments, wood and leather.In fact, so successful were they that the original Swallow bodied cars that were manufactured alongside were on reduced production and in 1933 they ceased production altogether of Swallows. The S.S.I radiator shell is canted back at a noticeable angle with a sculpted sweeping shape at the top. The headlights are chrome pods, separate from the wings and on the early S.S.Is are connected to each other by a crossbar. On later S.S.Is the headlights are on posts with no crossbar. The early coupe had helmet style front wings with no running boards, cramped rear seats, a leather covered roof with non-functional landau bars (pram irons) on the sides thus no side windows for the rear seat passengers, and an optional dickey seat. 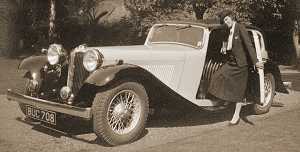 Later the coupe was lengthened to give more rear seat room and acquired running boards. The saloon version had additional side windows so the landau bars and dickey seat option were eliminated. The S.S.II was noticeably smaller and stubbier than the more popular S.S.I, it was an entry level or economy variant of similar styling, and was produced in coupe, saloon, and tourer versions. 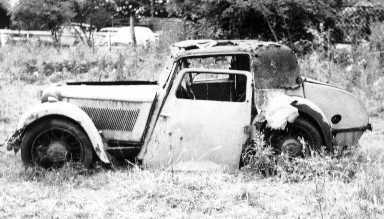 The sad 1932 specimen on the right with helmet mudguards was photographed lying in a field at 'The Harrow' Public House, Ockenden Fen, Essex, UK in 1967. By 1934, with the newly formed SS Cars Ltd now the manufacturer as a subsidiary of Swallow, Lyons had reacted to criticism that the cars were not powerful enough and the engine sizes were increased to 2143/2663cc while the S.S.II got a choice of 1343 or 1608cc. William Walmsley was now unhappy and resigned, moving onto caravans and garage management. January 1935 saw SS Cars Ltd floated with 100,000 preference shares and 140,000 ordinary shares on offer to investors. To look after the sidecar side of the business, a new company, Swallow Coachbuilding (1935) Ltd was formed. 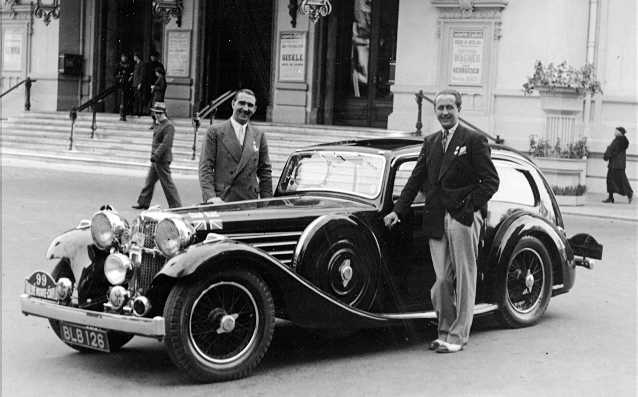 Harry Weslake, a freelance expert on gas-flow, also joined the company that year and did work on the 2.6L engine to enhance its power and put it in a lightened and shortened version of the S.S.I called the S.S.90. This two-seater sports car was to be the forerunner of one of the most revered of pre-war sports cars, the legendary SS100. At the same time the S.S.90 was introduced, a young engineer called William Heynes joined the company to look after the new engineering department. The purpose of this was to remove the dependance on other suppliers for mechanical parts. Lyons attempted control of another company - Sunbeam Cars - as well in 1935 but his efforts failed and it became part of the Rootes Group instead. 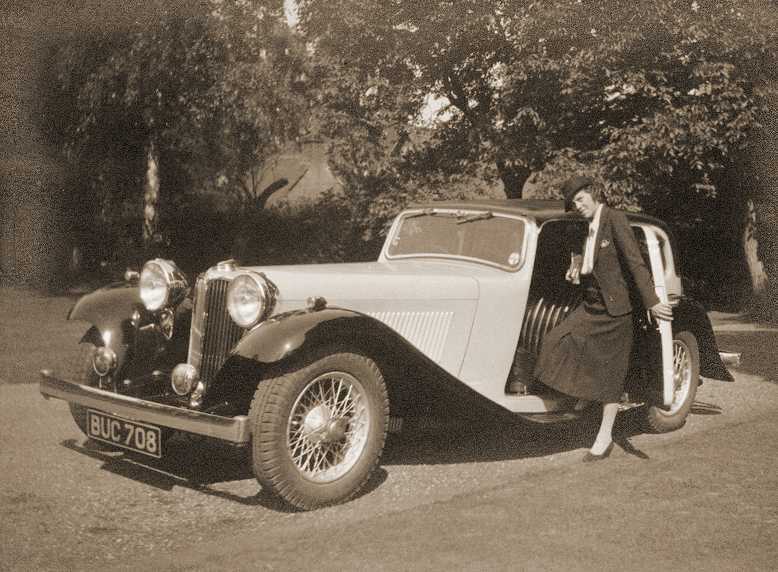 One car that William Lyons was not fond of was the Airline Saloon - he regarded it as a passing fashion and was correct. Streamlining wasn't in fashion in the UK so the more modern Airline Saloon kept flowing wings and separate headlamps but had a rounded tail usually referred to as a fastback. The windows also extended to the rear and it had a boot. Maximum speed was 80 mph from the standard sidevalve engine, shortly to be superseded by OHV units instead. The car was only produced for two years. Today it is a sought after model.